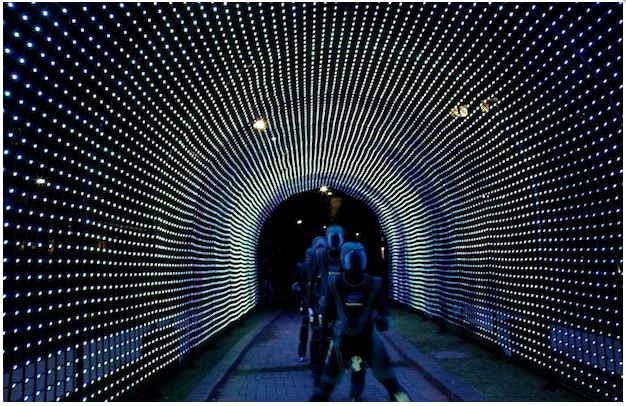 Take a look at the beautiful sight below, it is a tunnel lit up by thousands of LED lights. Each light was lit up by an individual tweet. The more people tweeted, the more lights lit up. It was all the idea of Designworks. Calling this experience “Hundreds and Thousands”, they asked users to share a tweet saying what positive changes they wanted to see happen in the next 200 years with the hashtag #hopesforchange. As more and more people starting tweeting, lights began light up, showing off a beautiful display at the tunnel. As people started to learn about this, they stared sharing their thoughts via Twitter, so they could help light up the tunnel. 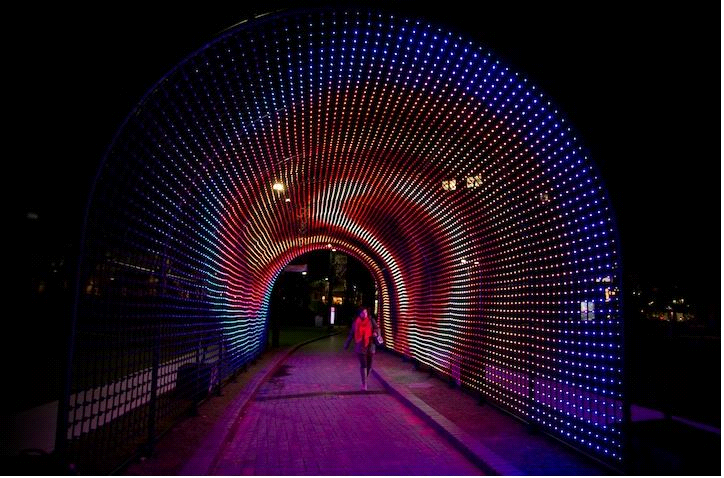 Situated in Australia, this light tunnel is like a path of hope for the people living there. Not only does this experience provide a beautiful visual, it also gets the people thinking about what changes they want in the future. People started to really interact with this tunnel, taking wonderful pictures. It goes to show that that some of the best ways to connect people is through social media and visual display. Benevolent Society (An Australian charity organization) celebrated it’s 200th anniversary with this event. And what a beautiful way to celebrate it. More charity organizations should do events like these. Everyone is on social media in today’s world and interactive events make it fun and beneficial for the public. 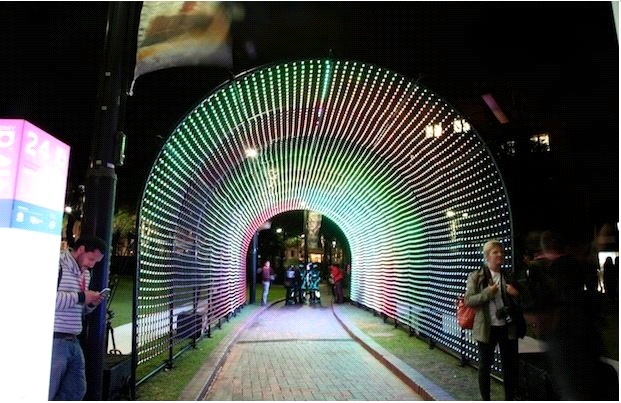 Knowing that you’re contributing in lighting up a LED tunnel makes people excited, and they start sharing. But the main objective still shines through, helping create a positive and better life for the people of the future. 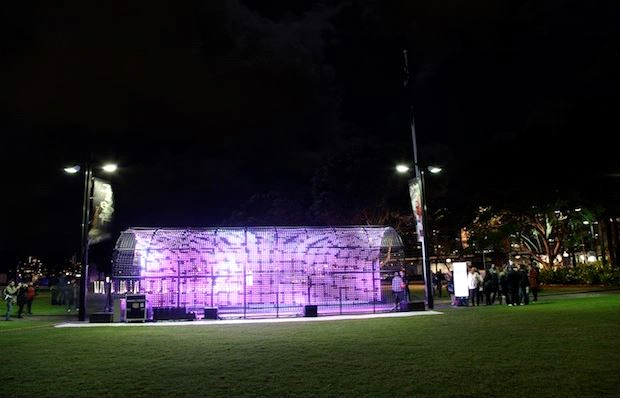 Good job Designworks and Benevolent Society for this really gorgeous, smart and productive idea. We hope to see more events like this all around the world.